At Chestnut Health Systems, we strive to equip people with the tools they need to meet challenges and improve their quality of life. We offer a comprehensive scope of behavioral health and human services in Illinois. Our professional and experienced staff is committed to providing high quality care and services to the communities we serve, and is focused on our mission to make a difference and improve quality of life through excellence in service. 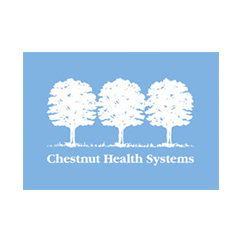 If you, a friend or a family member are facing challenges such as drug or alcohol abuse, emotional problems, mental illness or even personal debt, Chestnut Health Systems can help. For more than 40 years, Chestnut has been assisting people by providing evidence based addiction treatment, behavioral health and human services. Our programs and services are designed to help people meet life’s challenges. Chestnut has been continuously accredited by The Joint Commission since 1975.